Obvious partisan political implications aside, the Trump White House’s push to add a “citizenship” question to the U.S. Census raises big issues for the world of marketing, advertising and media. Specifically, much of the industry’s most representative research is either based on or weighted to U.S. Census estimates of the size and composition of the population. 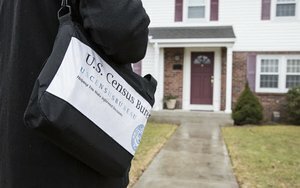 If, as opponents fear, requiring people to state their citizenship creates a non-respondent bias among some people -- especially illegal aliens, or fearful legal aliens -- it will distort the representation of the population in the U.S. Census estimates and all the research benchmarked to it. “A non-citizen who is here legally would probably comply. A non-citizen who is not here legally might well not comply and that is the problem,” says Richard Zackon, a long-time industry researcher and principal of Audience Patterns LLC. 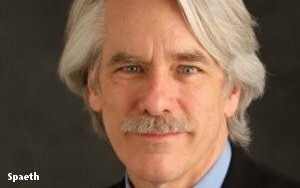 Aside from distorting the overall picture of the popular, “it could be devastating for multicultural marketing,” speculates Jim Spaeth, another long-time industry researcher and Founding Partner at Sequent Partners. “Certain populations will likely be undercounted. As a result the value marketers see in those consumer segments will be understated and investments will be reduced,” says Spaeth, a former president of the Advertising Research Foundation. “Immigrant populations are an integral part of the overall consumer growth in the U.S. keeping many industries booming and many others from declines. The proposed Census question on citizenship status would be extremely detrimental to commerce and business growth since a count with higher than usual margin of error would create inaccurate universes at all levels: from neighborhoods to trade areas to a national basis,” asserts Carlos Santiago, President and Chief Strategist of Santiago Solutions Group and a co-founder of the Association of National Advertisers’ Alliance for Multicultural & Inclusive Marketing (AIMM). “As most consumer research in America is typically weighed and projected against the decennial Census, the repercussions of an inaccurate baseline would be passed on to businesses hurting their ability to make sound investment decisions for new stores, new products, media investments, communications and outreach strategies impacting everything consumers purchase including health care, banking, home sales, cars, services, etc.,” says Santiago, a 25-year vet of segment marketing. 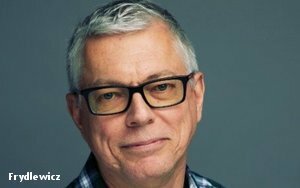 “The way I see it there could be multiple negative ramifications,” says Rob Frydlewicz, a long-time industry researcher who is currently contracts and budgets manager at Dentsu Aegis Network. Frydlewicz, who was an enumerator in the 2010 U.S. Census, has first-hand knowledge of that process. Whatever the impact the citizenship question would have on the 2020 Census, Audience Patterns’ Zackon says the industry would figure out a solution, even if it’s just one that relies on mathematical modeling to adjust estimates for undercounts in the Census data. “I would expects to see various analytic fixes,” he says. 2 comments about "Census Consensus: 'Citizenship' Would Be A Headache For Advertising, Media". Phillip Nones from Mullin/Ashley Associates, Inc., March 28, 2018 at 2:29 p.m.
Paula Lynn from Who Else Unlimited, March 28, 2018 at 4 p.m.
"Multiple negative ramifications" is their goal of this death and destruction administration.